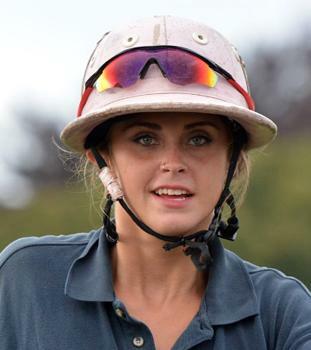 Minnie is Newport Polo’s Equine Manager, Interscholastic Team Coach, and Camp Coordinator. She is also an Adult Polo Instructor and Polo Riding Instructor, and horse trainer, credited for several of our recent Best Playing Pony awards! Minnie is a graduate of the University of Colorado Boulder with a Bachelor's Degree in English and Fine Arts Minor in the Class of 2017. Keating is also a USPA Certified Polo Umpire and selected by the USPA for their advanced Instructor’s Certification Program. Minnie began riding and competing in horse shows at an early age. Having grown up around polo, it was only a matter of time before she focused her riding skills to Polo. She began competing in the United States Polo Association’s Interscholastic program in 2005, playing arena polo on Newport's Girls team. During her interscholastic years, Minnie also progressed in grass polo during the summer season, playing with the Newport Polo Club and eventually making her debut in the Newport International Polo Series in 2008. She captained the Newport Interscholastic Girls team in two national championship tournaments, placing third in the country in 2013, receiving a Regional Sportsmanship Award and being named National Tournament All-Star.